I decided to duck out the other night as the weather was quite nasty which often makes for interesting seascape photography. It was tempting to not get out of the car as the wind was extremely strong and blustery and there was sea spray being thrown up soaking the coastline. As with all things photography you’re often rewarded when you make the effort and I was able to get this shot that conveys the ‘mood’ of the ocean. What do you guys think of it? To achieve this look I set the camera to TV Priority, ISO50, 1sec shutter speed. 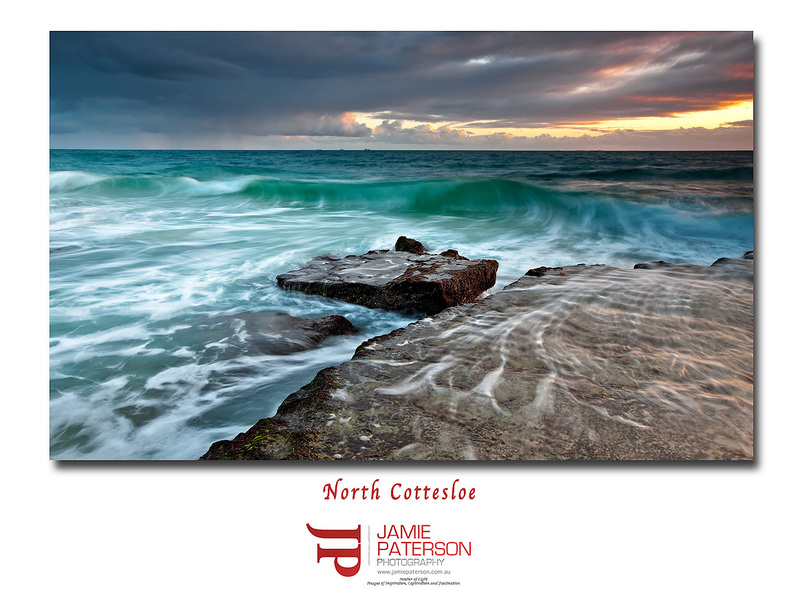 Yes its another shot of North Cottesloe! I guess it just goes to how diverse and different this place can be if you take the time to get to know it. 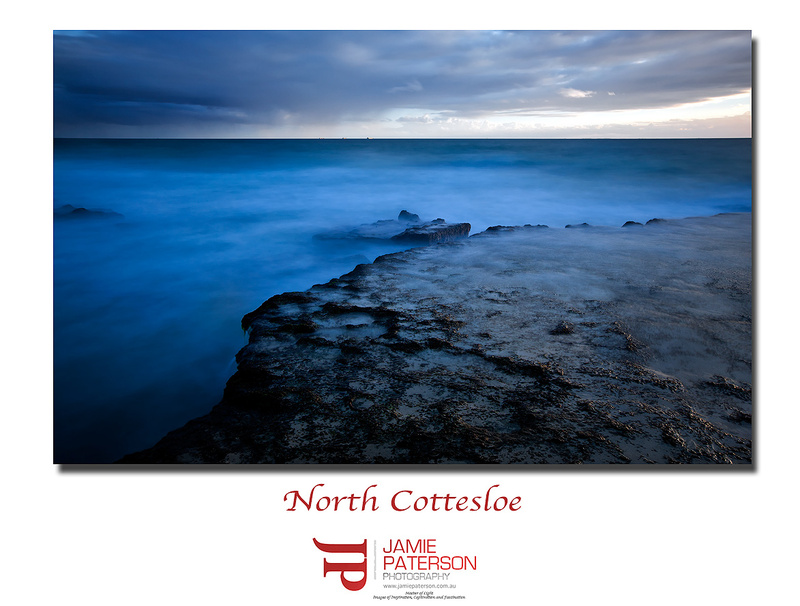 I like this shot as it seems really calming and relaxing which is exactly how North Cottesloe makes me feel when I’m there. I can’t believe the weekend is pretty much over. Bring on the new week! 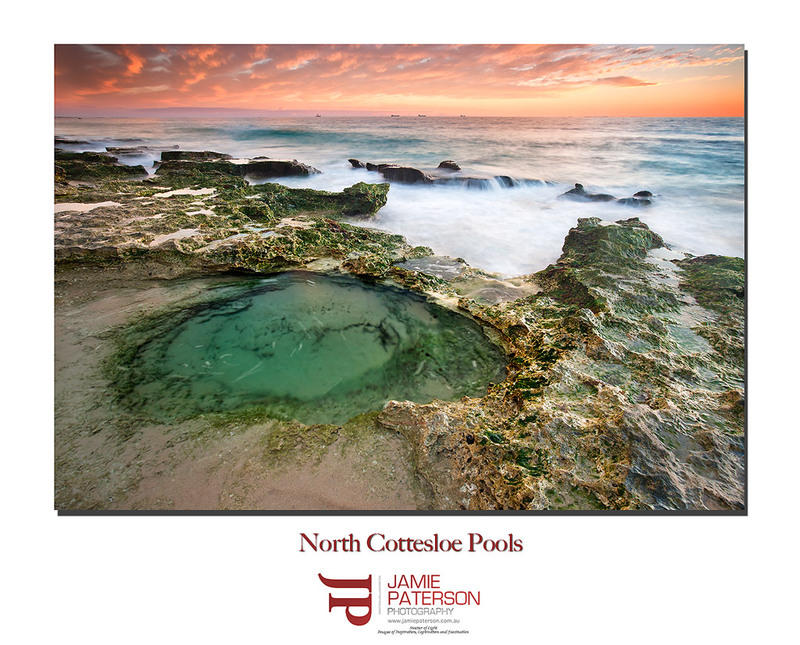 Well its no secret that North Cottesloe is my metro version of Injidup Beach. No matter how many times I think I’m going to shoot somewhere else I nearly always end up here. Not sure why, there are plenty of other great beaches, but this one just has the ‘x factor’ for me. Great little waves, great rocks and quite often I can get really close to the action without getting too wet, which I like to do. 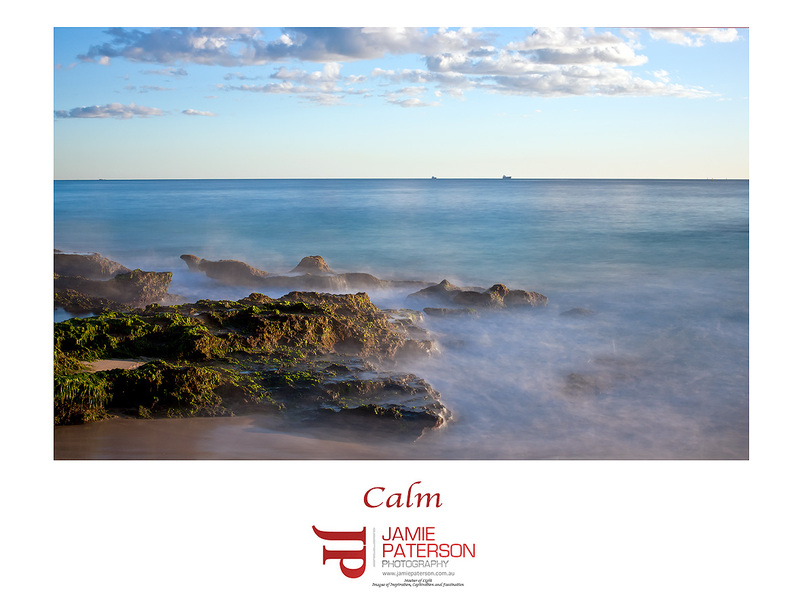 This is a really simple composition but as we are all learning, quite often less is more. I hope you all enjoy it. Most of you will probably guess who this is straight away, but some of you might not know who she is. North Cottesloe has to be one of the best and most interesting metro beaches to shoot, its always so much fun being down there. In this shot I tried following the movement of the wave whilst also getting some detail in the shot and I’m pretty happy with the result. To get this shot I held the shutter open for about 2secs and then panned from right to left to capture the waves movement I did that for about 1.5secs and then for the last .5sec just kept the camera still so that the camera would record some of the detail and not totally blur it all. 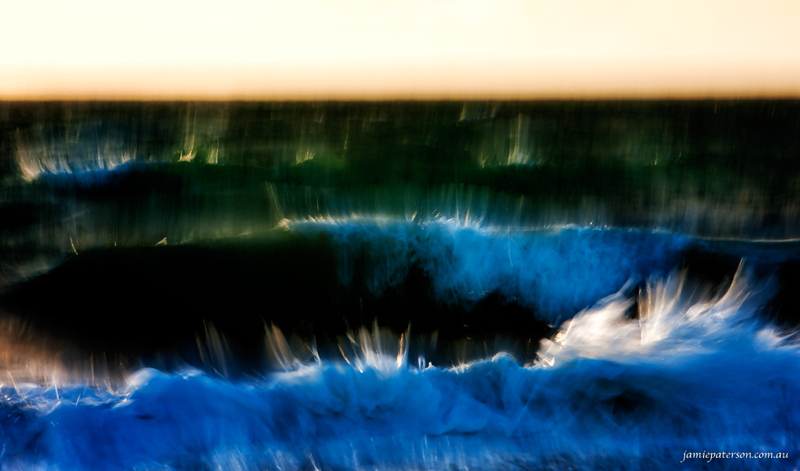 I’ve being trying to work on a compromise between totally blurred and totally sharp so that the viewer focuses on the movement and emotion within the photo but can still see where the photo was taken. I think this photo manages to achieve that. Last night I decided to hit Perth metro beaches. 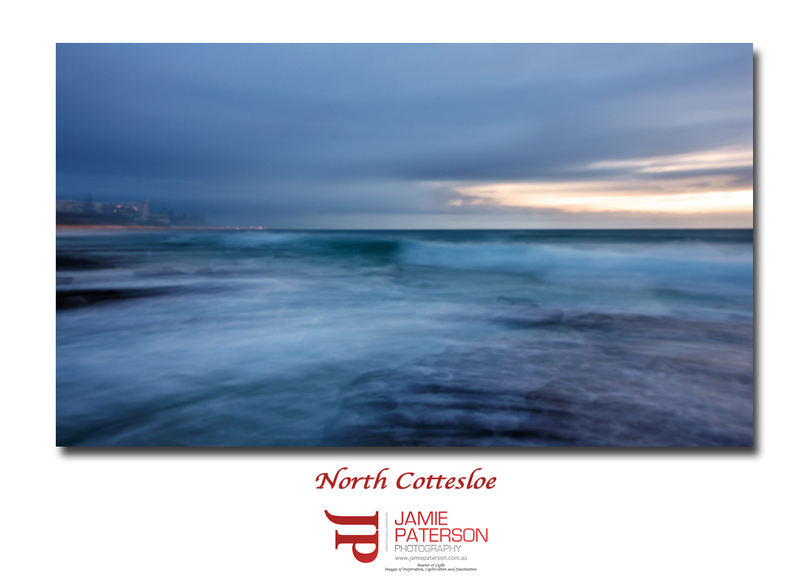 I was determined not to end up at North Cottesloe beach as I had shot it so many times before, but as usual I ended up at you guessed it…… North Cottesloe. I do love it down there. The rocks and their formations are simply awesome and you can stand right out on the edge of them without getting too wet, though I did cop a soaking last night. 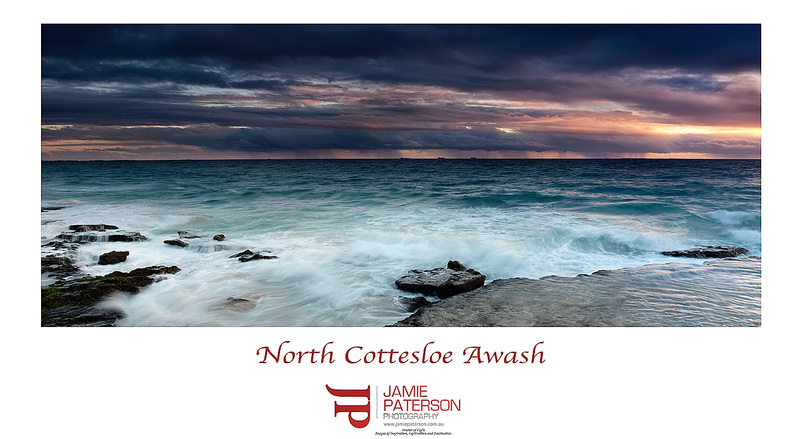 For me one of the best things about winter is that the North Cottesloe magic that has been hiding all summer is revealed. Exquisite rocks that were covered by sand are now exposed and facing the full force of the ocean after spending almost six months in hibernation, protected by a blanket of sand. 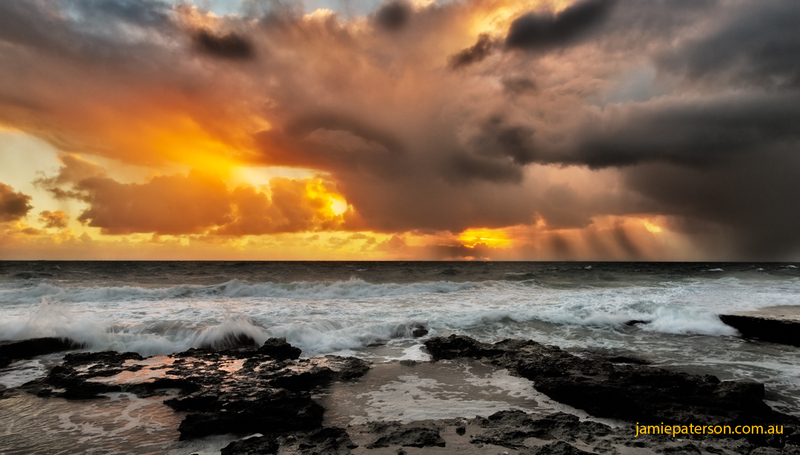 Winter would have to be a seascape photographers best friend. 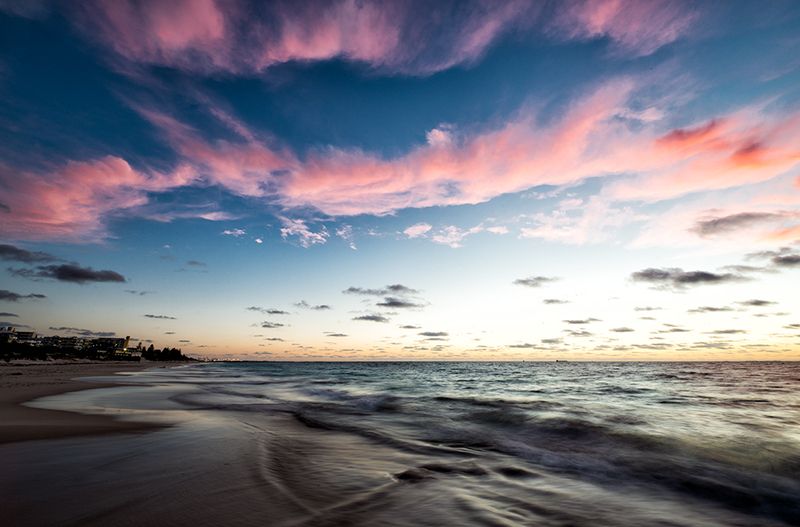 Last week I headed down to North Cottesloe as I just knew that the sunset was going to go off. I’m glad I did as the colours were just awesome, a nice orange glow greeted the end of the day. It almost felt like a mild summer day as people were just strolling up and down the beach, kids were splashing in the water and people were fishing off the rocks. You just have to love days like this one. I was almost tempted to jump into the water, until I felt how cold it was. Which just proves my theory, kids can’t feel cold water! 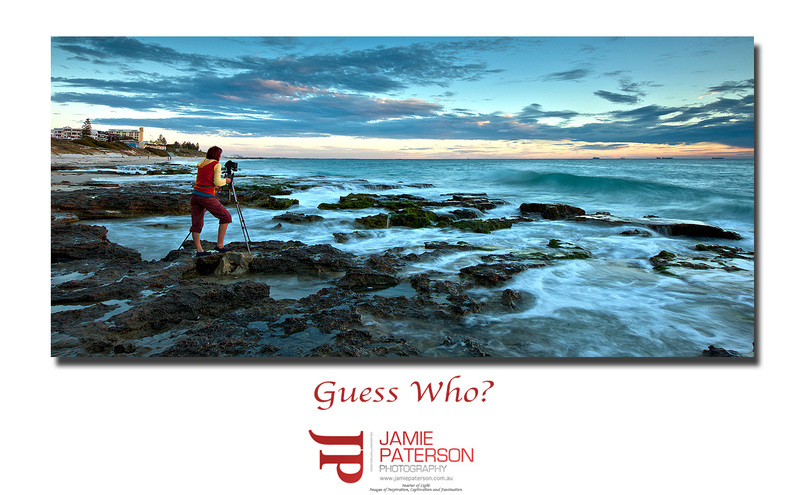 Did everyone have a good long weekend and get heaps of photos?